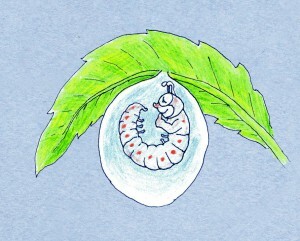 My first moments of life were inside a tiny egg! Depend­ing on what kind of cater­pil­lar I am, my mother will either lay many of my broth­ers’ and sis­ters’ eggs beside me, or she’ll leave me to grow by myself on my leaf. Using a sticky, glue-like sub­stance she cre­ates her­self, my mother makes sure to attach me to a safe place where I can feel pro­tected as I am devel­op­ing into a caterpillar. Inside my egg I have the yolk with me. I rely on it to give me nutri­ents to help me grow! 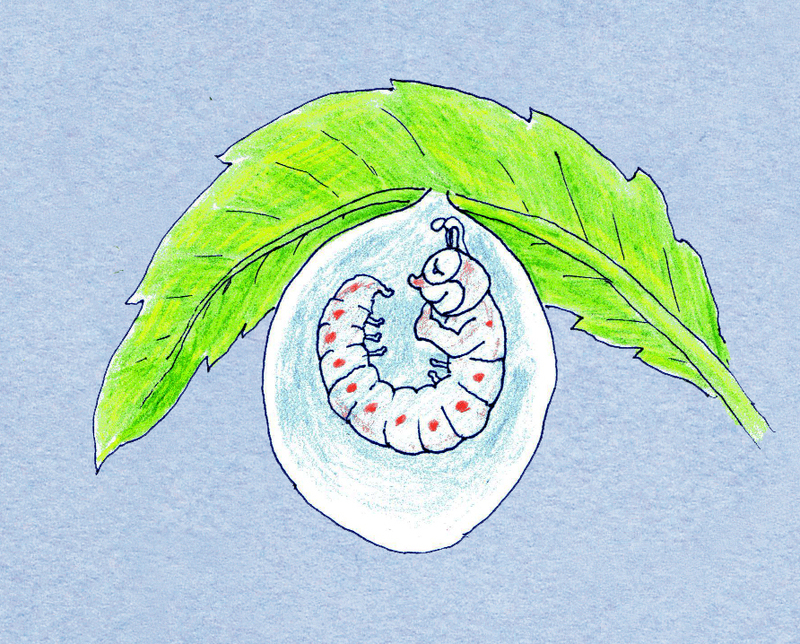 When I’m finally ready to hatch, I use my strong cater­pil­lar jaws to chew through my pro­tec­tive egg, and some­times I even eat the whole egg for dinner! Thank you for vis­it­ing this life. To see what I grow into next click here.